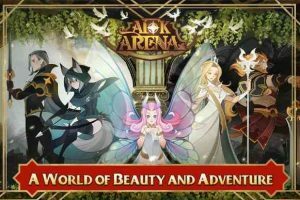 AFK Arena : Sit back and relax in a beautiful world full of epic tales, exciting adventures and an abundance of rewards. Rediscover the fun of mobile gaming again! Discover heroes and factions that each possess their own unique and gorgeous art style inspired by Celtic mythology. You’ll want to add each and every card to your collection! Venture deep into the heart of Esperia’s many mazes situated within the Peaks of Time. Play at your own pace without time restrictions or deadlines. Forge alliances with other players you meet and take on an array of dangerous opponents together! Assemble a robust team of heroes and go to battle in AFK Arena’s global ‘Legends’ Championship’. It’s an okay idle rpg. Common mechanics nothing too crazy and seems to be generous enough with the diamonds. I just think that the UI and landscapes need to be at higher resolutions, it’s kinda weird though because the heroes themselves are good. So yeah, keep adding content and allow players to download a version with high res graphics. Rating Incentive*** So far, it is very fun. Game is new and already has a lot to do, with a fair amount of depth. Easy to play, not much attention required. Easy to learn. Has PvP unlocked later. It does seem a little… “Stingy” on the paid currency, though. I definitely recommend you try it. First 5/5 review I ever have given! I absolutely love this game even though it just released! The fact that this game still goes on without you being on the app is perfect for this game! However, there’s some minor issues: The Legends ability button sometimes doesn’t register(not too much of a problem but still), on some stages a thin black line appears in between the active part and the background, and some notification bubbles don’t go away even after you check it. Still, I love the game! Pretty great. Nice Art, Several Characters, And the rates feel fair. I don’t feel pressured to purchase anything which I like, and I have not set my phone down just because of the things I can do while not Idle. 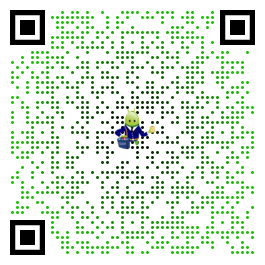 Haha Still gotta test the Idle feature been enjoying it so much!